> Friday afternoon my husband and I went to a “White Coat Ceremony” for the 150 students entering the freshman class of the University of Tennessee College of Medicine. We were the invited guests of one of those freshmen, Sergio Klimkowski. Sergio (left) and his family are members of our parish, St. John Orthodox Church, here in Memphis. This is the second time this summer we’ve had the pleasure of celebrating milestones with the Klimkowskis…. Back in May we ran into them in New Orleans following their daughter, Dalia’s graduation from Tulane Graduate School. (See story and photos here) That’s Dalia in white, in the middle of our group outside Jacques-Imo’s, the eclectic restaurant where we had just eaten dinner. It has been said that the white coat is a symbolic nonverbal communication used to express and/or affirm a fundamental belief in a system that society observes. The authority of dress is serious and purposeful not social, casual or random. It is a guide to patient and doctor on how to react and to relate to one another. Interestingly enough, Hippocrates advised his young neophytes on how they should dress. In primitive societies the healer’s dress was an important part of the paraphernalia of their healing. This uniform should convey to even the most anxious a sense of seriousness and purpose that helps provide reassurance and confidence that his or her complaints will be dealt with competently and seriously. The white coat provides the milieu for you to become a physician; some would say that it is a cloak of compassion. Compassion was a big theme in the excellent remarks made by the Dean and the Chancellor of the medical school, as well as the guest speaker, Dr. Frederick Rivara from the University of Washington School of Medicine. All three reminded the students over and over again that the patient comes first—before career, prestige, and financial rewards. The fearsome struggle with illness touches everyone. Now the revised edition of On Doctoring captures the pain and triumphs associated with the practice of medicine in an extraordinary collection. Written by physicians as well as non-physicians, this compilation of stories, poems, and essays eloquently captures what it is like to be sick, to be cured, to succumb to illness, or to overcome it. Drawing on the full spectrum of human emotions, the editors have included selections from such important and diverse writers as Anton Chekov, W. H. Auden, Pablo Neruda, Ernest Hemingway, Flannery O’Connor, Raymond Carver, and many more. Among the new authors included in this edition are Rainer Maria Rilke, Jane Kenyon, and May Sarton. In this era of managed healthcare, when medicine is becoming more institutionalized and impersonal, this book recaptures the breadth, wonder, and the miracle of the medical profession. Presenting the issues, concerns, and challenges facing doctors and patients alike, the illuminating On Doctoring will speak to the hearts and minds of today’s readers. The ceremony was well-attended… crowds of family and friends were there to offer support. The speakers encouraged the students to view their community as family—to lean on each other in the years to come. 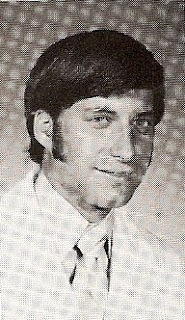 I felt a twinge of sadness at these words… not sadness for the Class of 2012, but for my husband and I back when he entered the Class of 1974. We had become part of a religious community which discouraged close relationships outside the group. And although we’re no longer in that situation, I think we missed out on many opportunities for friendship and support within the medical community in the early years of our marriage. I hope Sergio will find meaningful friendships and support among his classmates and their families in the coming years. Here’s Sergio, sitting with those new fellow students, waiting for his turn to go forward and be helped on with his white coat by one of the faculty members on stage. And here he is getting help from a faculty member with his white coat. UT Faculty (including my husband, turning onto the second row on the right in this picture, below, left) marched in with their own white coats to welcome their new students. White lace and promises…. reminds me of our wedding in June of that year… and then White coats and promises. Here’s freshman medical student, Bill Cushman, in his first white coat (right). And here’s Dr. William Cushman celebrating with freshman medical student Sergio Klimkowski, 38 years later. I will not use my knowledge contrary to the laws of humanity. As I listened to Sergio and 149 other future doctors reciting these words, along with the current faculty and other physicians in the audience, I found myself praying that they would also not use their knowledge contrary to the laws of God, and that those laws would help shape how they interpret their promise to maintain the utmost respect for human life. We’re counting on you, Class of 2012!